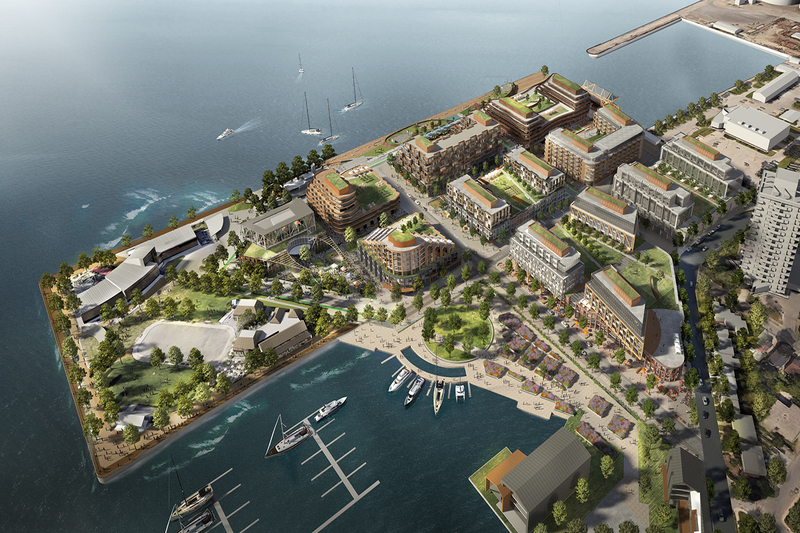 Great Gulf and Dream Unlimited engaged Hariri Pontarini Architects and the mcCallumSather team to create a redevelopment proposal for Hamilton’s Pier 8. 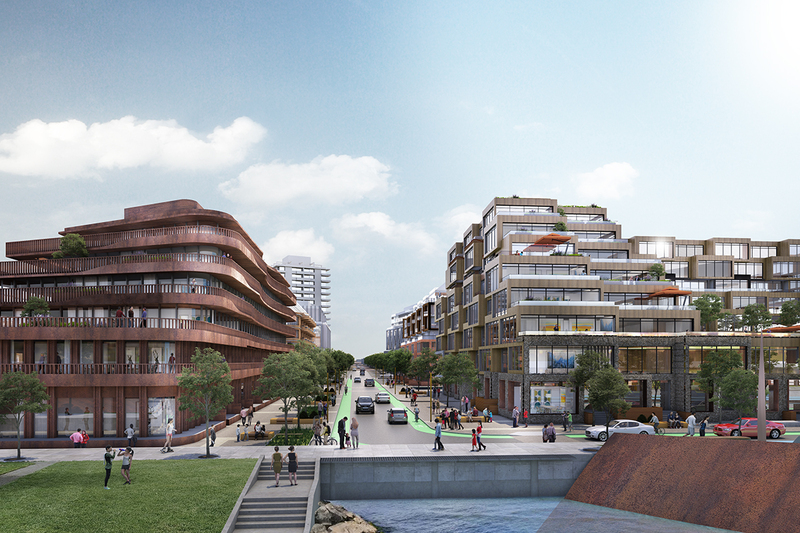 The winning commission will create a landmark community at the former waterside industrial site. 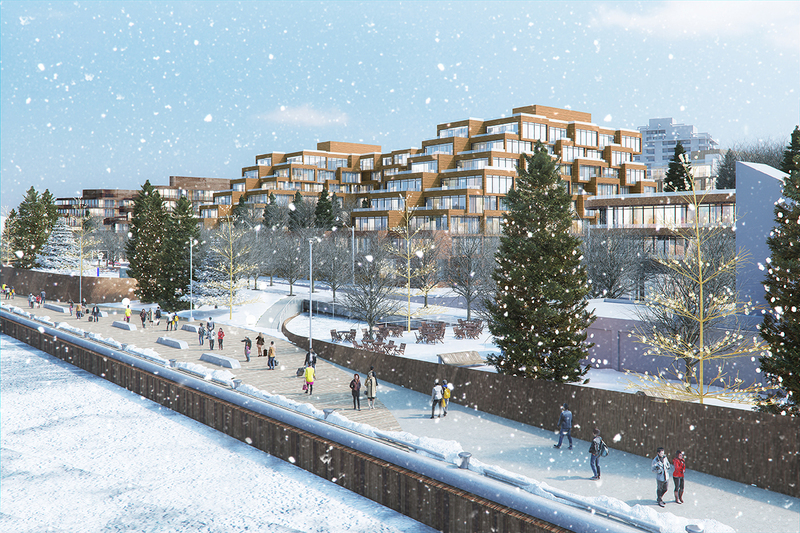 The vacant lot will see the complete repurposing of a nine block area into a diverse neighbourhood containing pedestrian connections, public parks, institutional structures and mid-rise residential spaces. As one of four finalists, the ‘GulfDream’ partnership laid out sustainable building practices with waterfront design excellence as pivotal themes in our bid for the site. Inspired by our collective experience in developing master-planned communities, our team’s vision was a place created for all Hamiltonians. 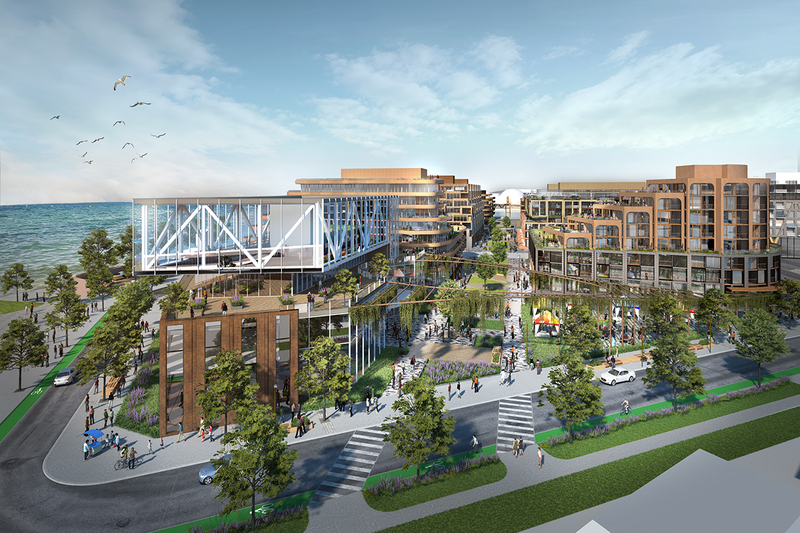 Inspiring amenities included a maker space, a proposed space for the future Art Gallery of Hamilton, shops, restaurants, breweries, recreation centre, a stunning pedestrian walkway and waterfront park. We collaborated with world renowned Hariri Pontarini Architects to create a thoroughly considered design for Pier 8 that pays tribute to Hamilton’s history while creating an inspired vision for the future. 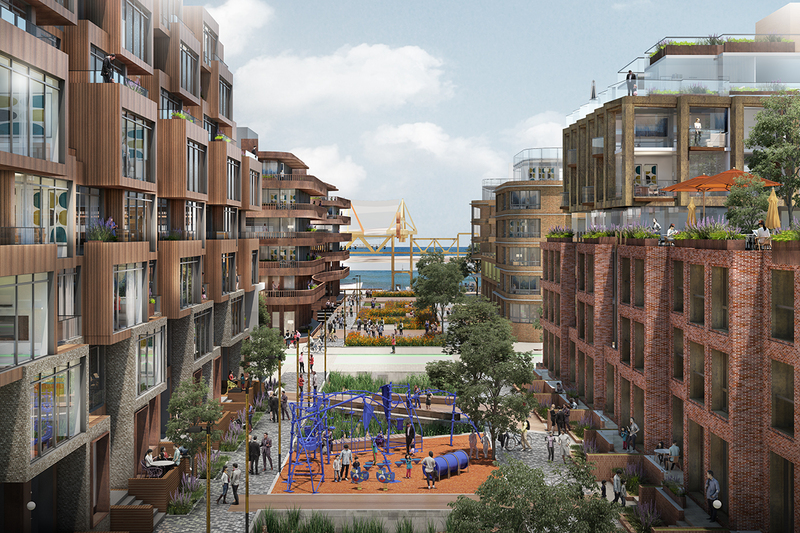 We designed Pier 8 to be the largest mixed-use, mid-rise urban wood community in North America. Wood construction is innovative, green, sustainable and 100% renewable. As part of our mission to create environmentally sustainable communities, we targeted LEED Gold certification across the entire development. The design fostered a sense of community, encouraged pedestrian traffic and provided a direct connection from all residential buildings. A beautifully landscaped, east-west greenway corridor connects to existing trails and neighbourhoods. Complementing and connecting Hamilton’s growing James Street food and arts scene, Pier 8 invited visitors to experience niche dining offerings and unique cultural attractions, while enjoying sweeping waterfront and parkland vistas.